Where You Link is What You Get | Where You Link is What You Get – The Republic of T.
After my post recounting the “blogroll purge,” I wrote another piece about the African American blogosphere. It got link by several other black bloggers, but has been overshadowed by the “purge” post. But I think there’s a link between the two, especially when it comes to African Americans and other minority groups and how they built communities of their own. When they found themselves effectively shut out of the dominant power structure, they built their own. In some cases, when they were denied service or treated badly in existing establishments, they started their own and refused patronize establishments where they were neither respected or valued. They started their own newspapers, radio stations, social clubs, professional associations, etc., and they defined and celebrated success within those spheres. That’s basically what I’m saying, that people who are frustrated with the what the believe is an insular top tier in political blogging (which is actually a very small world, especially when pared down to progressive political blogs only) should do. Stop pouring time, energy, passion, and bandwidth into theirs, and build your own. The difference is that our spheres are naturally linked because instead of being solely based on factors like gender, religion, or ethnicity, we are also linked by interest and experience across our many spheres. If human nature creates systems in which inequality is inevitable, then human diversity — encompassing all of our varied experiences, passions, pass-times, and personal interests — may be the best way to overcome that inequality, or at least to start. In the same way that sites like Amazon and phenomenons like eBay or Amazon have created the “Long Tail” by making an unlimited supply of content available to even the tiniest demand, the internet and blogging have made it possible for people who would once have been disparate and disenfranchised by distance to build communities where they can connect with one another and potentially an impact that would have been out of their reach before. It’s what Chris Anderson wrote about in The Long Tail: Why the Future of Business Is Selling Less of More, as well as on his blog. … When consumers are offered infinite choice, the true shape of demand is revealed. And it turns out to be less hit-centric than we thought. 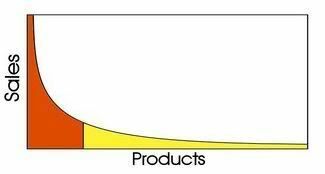 People gravitate towards niches because they satisfy narrow interests better, and in one aspect of our life or another we all have some narrow interest (whether we think of it that way or not). This realm of publishing, which I call “The Magic Middle” of the attention curve, highlights some of the most interesting and influential bloggers and publishers that are often writing about topics that are topical or niche, like Chocolate and Zucchini on food, Wi-fi Net News on Wireless networking, TechCrunch on Internet Companies, Blogging Baby on parenting, Yarn Harlot on knitting, or Stereogum on music – these are blogs that are interesting, topical, and influential, and in some cases are radically changing the economics of trade publishing. At Technorati, we define this to be the bloggers who have from 20-1000 other people linking to them. As the chart above shows, there are about 155,000 people who fit in this group. And what is so interesting to me is how interesting, exciting, informative, and witty these blogs often are. I’ve noticed that often these blogs are more topical or focused on a niche area, like gardening, knitting, nanotech, mp3s or journalism and a great way to find them has been through Blog Finder. And according to Dave Pollard, the “Middle” is also where you’ll find bloggers who have strong relationships with their readers, because their readerships are a manageable size, and also get a greater portion of their readers’ attention. That suggests there’s an opportunity for bloggers (and blog advertisers) to broaden their reach, if they can just see it. But whether you see it depends on where you’re looking. 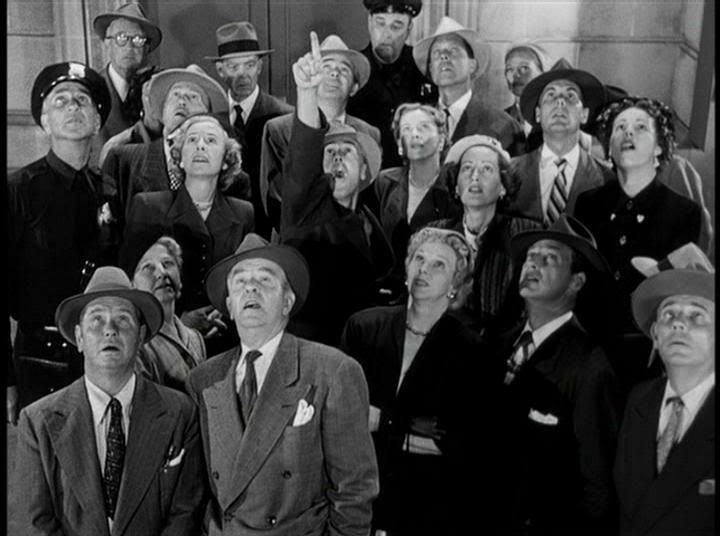 I used a scenario earlier of someone walking down a street and coming upon a group of people all staring up at some invisible point in the sky. If you’re that someone, the automatic reflex is to stop and look too, even if you’re not sure what they’re looking at, why they’re looking at it, whether its worth looking at, or if there’s anything there to look at in the first place. If everyone else is looking, then you should look to, if only to make sure that you don’t miss something important. It’s the same reflex that makes you likely follow if that same group of people suddenly takes off running, even if you don’ t know what you’re running from any more than you knew what you were looking at a moment earlier. You can see the same thing in a herd of animals. If a few are frightened by a predator, they take off running and the most of the rest follow whether they saw the predator or not. In some senses it’s probably a survival mechanism that helped our ancestors avoid predators and other hazards. Even if they didn’t see or sense them, as long as others did, they survived too. At work, I’m spending more time teaching people how to use available tools to look for blogs and communities along that curve, and to how to engage with them. After one training explained to me, after I finished talking about blog outreach, that it’s actually counter-intuitive. And he’s right. It is counter-intuitive, in a way, probably on a level that goes all the way down to our DNA. After all, we know what happens to animals that get separated from the herd, and what happened to pre-historic hunters who were looking somewhere else when the rest of the party saw the predator and ran. Bloggers who are concerned with inequality in the blogosphere and the politics of linking need to take a page from the playbook that women, gays, and ethnic and religious minorities have used. Instead of worrying about changing what other people are doing, change what you are doing. It’s actually a necessary first step. It’s what you have to do before you can convince other people to change what they are doing. Instead of continuing to empower the status quo and continuing to stare up at the top of the curve, look — and link — elsewhere. Look around you instead. Start where you are, and with those who are around you. I’ve been following your threads on the whole blogroll controversey. Now I think you’ve come to a great point of resolution on the whole thing. What great food for thought! I’ve long thought that the reason contemporary capitalism allows some of us to be queer is that we make a good market … and I try to link to other folks who help me think about such matters. What else would I do? There is a great post on The Carpetbagger Report from a few days ago about the mainstream media’s (specifically Time magazine’s) ignoring the prosecutor purge scandal.